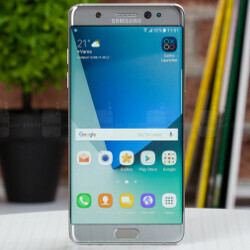 Report: Samsung to issue a recall for the Galaxy Note 7; defective battery is to blame? How quickly has the sky fallen on Samsung? 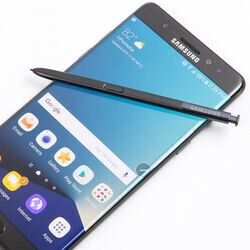 Two weeks ago, the company was basking in the success of the Samsung Galaxy Note 7 launch, which was reflected a few days later by the company's stock making an all-time high. 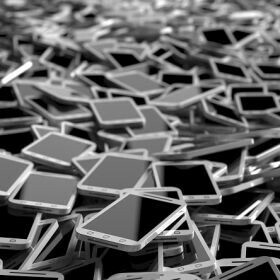 Demand for the phone was crushing supply, and it appeared that Samsung was about to continue the momentum it earned earlier this year with the Samsung Galaxy S7 and Samsung Galaxy S7 edge. 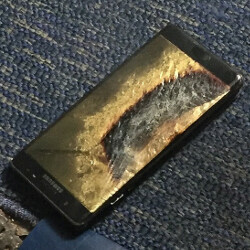 But then came word that a Galaxy Note 7 had exploded while being charged. A few days later, it happened again. Responding quickly, Samsung halted shipments of the phone, explaining that additional tests needed to be run before more units could be delivered. The company's shares have lost $7 billion in value since the announcement of the shipping halt. This morning, an electrifying report was published by South Korea's Yonhap News Agency. Apparently, Samsung has discovered that the battery in the Galaxy Note 7 is defective. As a result, it will issue a recall possibly for all units as early as this weekend, or at the beginning of next week at the latest. The manufacturer is reportedly in talks with the largest U.S. carrier, Verizon, over the logistics of a recall. There isn't a standard procedure for Samsung and the carriers to follow since the Galaxy Note 7 would be the first smartphone to actually be recalled. This couldn't have happened at a worse time for Samsung with its top rival Apple about to introduce the 2016 iPhone models on September 7th. Speaking of Apple, it was the iPhone 4 that could have been the first smartphone to be recalled. Problems with the antenna design caused the phone to lose signal strength when held a certain way with the left hand. While there was talk of a recall, Apple issued free rubber bumpers (or a $15 refund) that prevented a user's hand from coming into contact with the antenna. This flaw spawned the Antennagate controversy of 2010. The difference between the iPhone 4 and the Galaxy Note 7 is that the latter's problem could be life threatening. 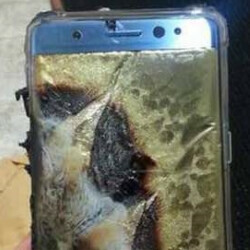 If you currently own the Samsung Galaxy Note 7, keep checking in. As soon as Samsung makes any sort of announcement, we'll let you know. I feel the copy-paste trolls closing in... BTW, a single paragraph of Apple in a Samsung article, really? True, he always "3...2...1...". Lame. You noticed that too........kinda flame baiting don't you think? Yeah, maybe it's a way of generating hits due to people repeatedly coming back to argue? One is already onto me, look below, one big hypocrite who said he bookmarked this, for future trolling. I feel the samsung defender army are closing in. BTW you desperate attempt to get the green thumps up is pathetic. Always posting comment that will give him the highest number of green thumps from sammy boys. Now back to the topic : Samsung is pathetic. They release a phone without properly testing one of the most important parts of the phone, the parts that could potentially harm you physically if the part is defective. Third class company third class testing facilities. The good part at least they are doing the right thing now. Still they should have done that in the first place. Bookmarking this article. This will come in handy in the future. That's what trolls usually do, so that they could link problems of the past/present for trolling in the future. I couldn't care less about the green thumbs, don't go out accusing people of what you do. Also, every other OEM's QC except Samsung's is perfect, right? They check every single one of them, right? 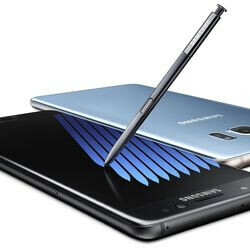 ALL of the Note 7s out there have defective batteries, right? When Apple has issues you guys tell trolls they're exaggerating, now you're doing it, hypocrite. Stop pretending that you care less about green thumps here. You exist here only for the green thumps. You only post comment for green thumbs. Green thumps wh*re. I didn't know that, so you know more about me than myself? You must be a mutant! WOW!! Funny how you instantly get a green thumb the instant you post. Green thumps wh*re now acting innocent. Green thumps wh*re can't stand other people getting the green thumps so he usually accuses people of upvoting his own comment when people like the comment he hates. Your desperate attempt to gain credibility and acceptance on a on online forum is pathetic. You attempt to represent yourself as the most unbiased people here and in the process of getting the most green thumps is sad and pathetic. You must a real loser in real life. Oh poor Samsung. How low can your QC fall? It appears,VERY. I wish Samsung the best. But, it's clear the Note 7 isn't the phone for me. LOLOLOL if this were Apple, Phone Arena would have had a melt down with the number of Apple hating people here posting cheerful messages of how great their Samsung's quality is. Dude, stop smoking that weed too much. Where do I sign up for my tinfoil hat? Your idolization of China is cute, really too bad public defecation is still accepted over there or I would assume you were huffing paint first before huffing human feces. Dude, we're not going to listen to someone who sold their kidney to buy an iphone..